Donald Lee Hanks, 83, of Moweaqua, passed away Saturday, April 13, 2019 in his home. He received his master’s degree from Southern Illinois University at Carbondale. Donald was previously employed as the administrator of Special Education with DPS #61. He was a member of First United Methodist Church in Moweaqua, Council for Exceptional Children, Illinois Retired Teacher’s Association, and the Phi Delta Kappa Fraternity. Private services will be held. In lieu of flowers memorial gifts may be given to First United Methodist Church Window Project, 222 N. Hanover Moweaqua, IL 62550. 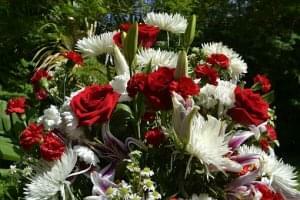 Arrangements by Dawson & Wikoff Funeral Home, 971 Prescott Ct. Macon, view the online obituary, send condolences, and share memories at www.dawson-wikoff.com. Donald married Peggy L. Behro on October 24, 1959. Donald is survived by his wife Peggy, daughters Nancy (Howard) Humpherys and Holly Weinstock, grandchildren Rachel, Jack, Elizabeth, Anna, and Heath, sister Virginia Montgomery, and brother Dale (Janet) Hanks. Donald was born December 2, 1935 in Marion County, Illinois, the son of Masel and Blanche (Krutsinger) Hanks. Donald was preceded in death by his parents, sister Alene Allpin, and infant brother Kenneth Hanks.